These two very different signs are inspired by the same wandering spirit, and they blend together to endow you with a strong inclination for escaping through actual trips but also through your imagination. Owing to your Cancer Ascendant, you come across as a calm and careful person at first glance. The truth is that you protect your private sphere so as not to get lost in the frenzy and short-lived relationships which you deem a threat to your tranquillity. However, since you excel in contradictions, you deplore your propensity to beware of all things which are unknown to you. Indeed, your thirst for discoveries and your craving for the exploration of the immense world are the signature of your Sagittarius Sun. You are deeply attracted to that which is different from you, and once you become used to it, you display an amazingly broad mind which is sometimes accompanied by uncalled for enthusiasm and ardour. Both Sagittarius and Cancer are often wrapped up in their thoughts. Cancer is deeply attached to its fortress and is easily moved by its imagination, which opens the road to roaming all over a world, far from the reality of daily life. Since Sagittarius is more fiery and mobile, it gives you itchy feet and urges you to go out to meet the outer world. These texts about the sign of Sagittarius and Jupiter might interest you. 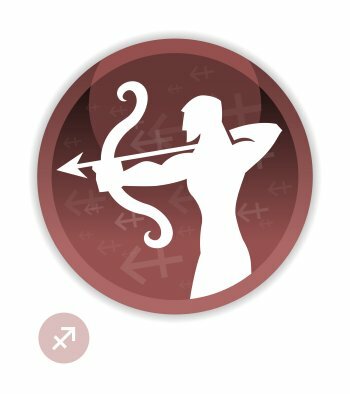 You can find dozens of celebrity horoscopes with the Sun in Sagittarius and the Ascendant in Cancer combination on Astrotheme. Your Ascendant sign is Cancer, which means that, at first glance, people feel the influence of Cancer on your outward appearance It may be different from your inner self, which defined by your Sun sign.